Bristol-based ComputerWorld is one of the UK’s leading business IT systems and solutions specialists. It has unique strategic partnerships with leading solution providers including VMware, Veeam, Dell, Nimble Storage, Microsoft and others, allowing it to offer clients a comprehensive, personalised IT consultancy service. When ComputerWorld wanted to push its business to the next level, it appointed Vivid to bring its new strategy to life. Together with the management team we created a new story, USP, mission, identity, thought leadership sub-brand, regular event, website, building dressing and rolling content calendar. Newcross is an independent organisation that provides highly trained staff, clinical expertise and administrative support to help care for sick and vulnerable people. Who have been providing exceptional healthcare across the UK since 1996. Vivid worked hard with the folks at Newcross to create an exceptional new identity for their brand which incorporates their signature blue and orange colour scheme. 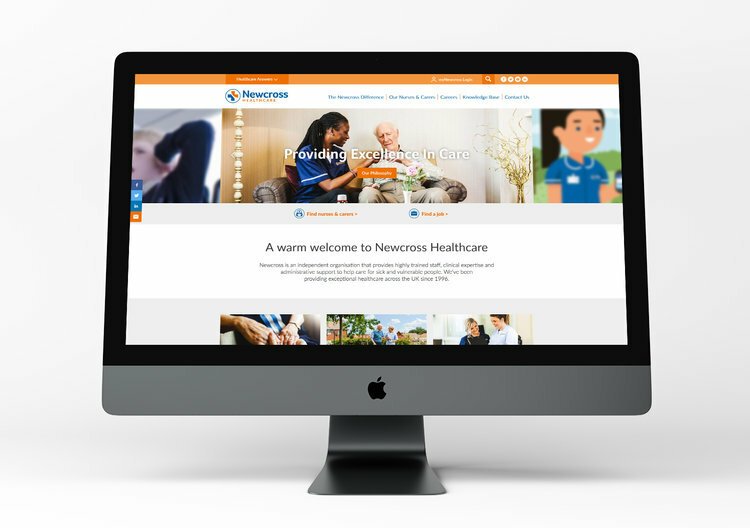 We also created a brand new website for Newcross that incorporates thousands of live jobs and numerous system integrations. Visit their shiny new website here. GMB was founded more than 126 years ago and is now one of the UK’s most powerful and influential trade unions, with more than 630,000 members working in all areas of Britain’s economy. The History Press is the UK's largest publisher of local and specialist history books. When they wanted a new website and online strategy, they appointed Vivid thanks to our editorial background and storytelling expertise. Which is nice. Launched in December 2015, we scoped, designed and created a new responsive website with integrated e-commerce that's modern, content-rich, inspiring and a beautiful environment to showcase all of The History Press' wonderful books. See for yourself below. And so is their new one! Opun, the revolutionary 'home services made easy' startup chose Vivid as its content marketing partner from day one. 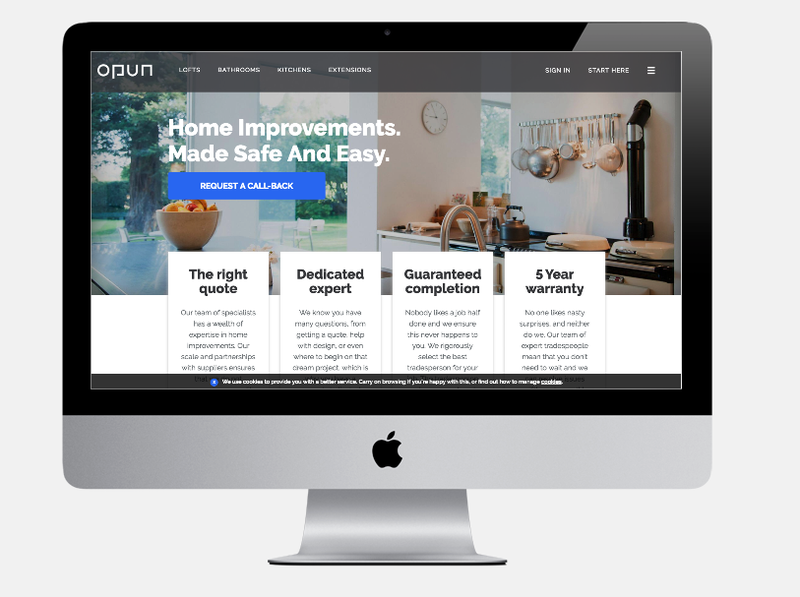 For the uninitiated, whether you’re having a beautiful kitchen fitted, your loft lovingly converted or an elegant bathroom makeover, spend as little as 30 seconds on Opun's simple, state of the art website (using natural language search) and an expert tradesperson will be booked to visit free of charge and give you a no obligation quote. It's what Apple would do if they moved into home services! Vivid brings Opun's content strategy to life in print, online and in-home. From making videos about the birds and the bees and the flowers and the trees, to the creation of quarterly reports on the latest internet and lifestyle trends. Vivid fulfils a diverse roll for the National Trust’s South West regional office that has seen us doing everything from filming bees in full protective suits to building interactive flora& fauna identification games. 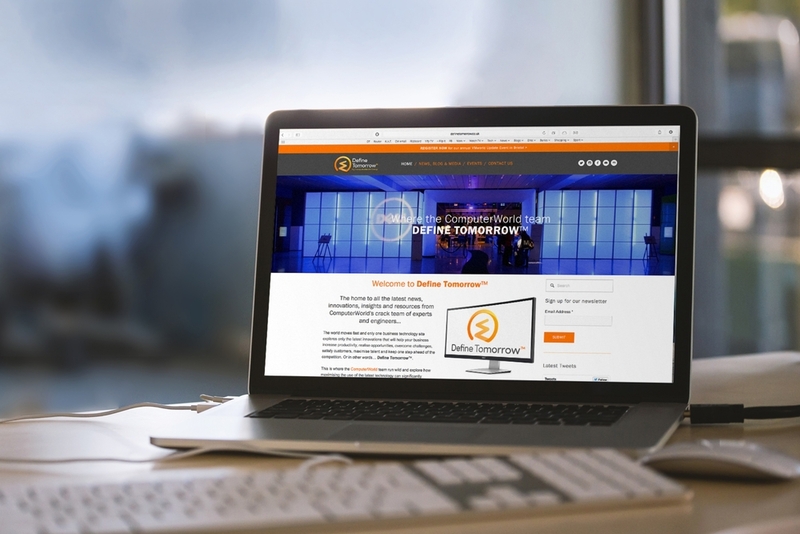 For clients large and small and across numerous sectors and industries, Vivid conceives, scopes, designs, builds and creates compelling content for websites and email campaigns that truly engage with and look beautiful on any device. We just love bringing new digital strategies to life and our team are always ahead of the curve with the latest digital innovations that really add value to a project (we can spot a fad from a mile off). We've created brand identities, brand collateral and overhauled brand strategy for both startups and long established companies alike. Brilliant Brands™ is our unique five step process that makes identifying the essence of an organisation – it's values, USP and overarching mission – and then bringing it all to life not just a straightforward process, but a fun one! We'd tell you more here, but other agencies would just steal it. Get in touch.